A unique bench, one of it’s kind, designed to commemorate our founder, Sue Cook, the bench is modelled on a bergere armchair we sourced over 20 years ago, Georgian in period, so the proportions are perfect. Possibly the only caned bench seat available in England today, we have produced it with a beautiful hardwood frame so you can select your finish and wood so it goes perfectly in your home. The seat has a single feather and down cushion and we can also add bolster and scatter cushions as required. An amazing piece of furniture and one which will age gracefully and be a wonderful investment piece. Available in one size, however, depending upon our caning stock, other lengths may be available, please enquire if you have a particular size in mind. Fabric required for squab seat cushion: 2.5 metres. 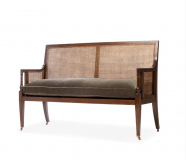 To ask a question about the Bergere Bench click here. We'll email you the answer as soon as possible. 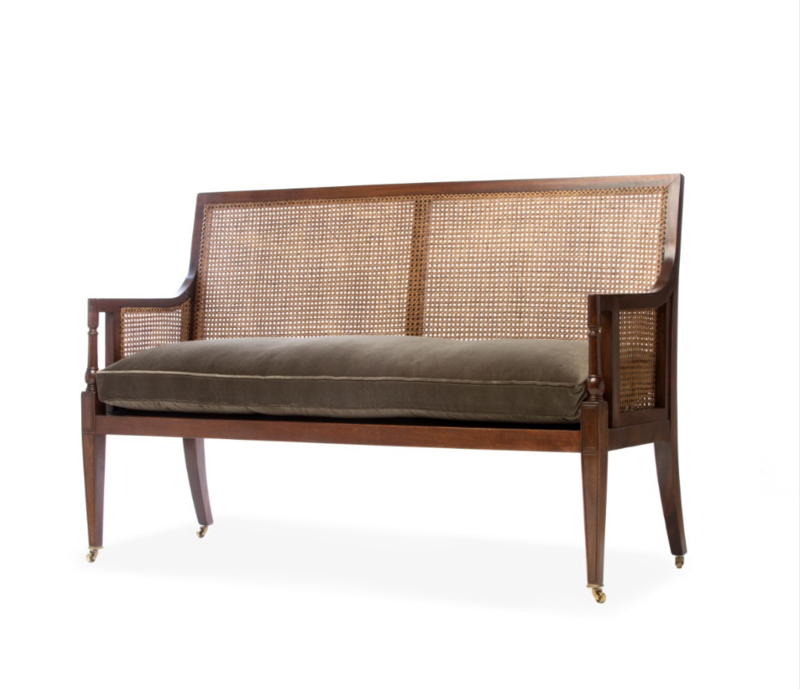 If you have a question about the Bergere Bench, fill in the form below and we'll email you the answer as soon as possible.